David was born in Durban, educated at St John’s College Johannesburg and at Witwatersrand University, graduating with an Honours degree in Chemistry and a PhD. He has received 23 Honorary Degrees from universities around the world. He was the UK Government Chief Scientific Adviser from 2000 to 2007. He raised the need for governments to act on climate change and was instrumental in creating the UK's £1 billion Energy Technologies Institute. He created an in-depth futures process which advised government on a wide range of long term issues, from flooding to obesity. From 2013 to 2017 he served in the British Foreign Office as the Foreign Secretary’s Special Representative on Climate Change, making 96 official country visits over this period. 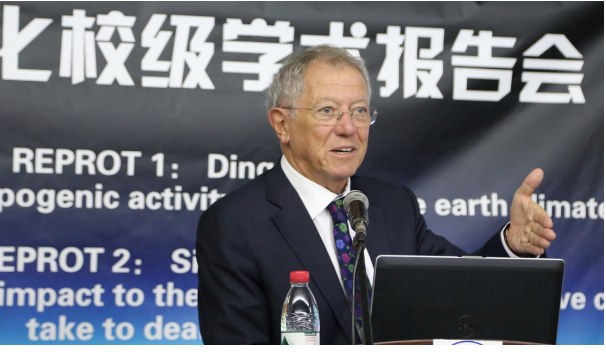 He initiated the Climate Change - A Risk Analysis project with China and India over this period and was the thought leader behind Mission Innovation, the $30bn p.a. international thrust in Research funding for missing technologies needed to defossilise the global economy. David was Member, the President’s Advisory Council , Rwanda, and Science Advisor to UBS, 2008-12. He served as Founding Director of the Smith School of Enterprise and the Environment at Oxford University, 2008 – 2012, Head of the Department of Chemistry at Cambridge University, 1993 – 2000, and Master of Downing College Cambridge 1995 – 2000. He has published over 500 papers on surface science and catalysis and on science and policy, for which he has received many awards, medals etc. Elected Fellow of the Royal Society in 1991; Foreign Fellow of the American Academy of Arts and Sciences in 2002; knighted in 2003; made Officier de l’ordre national de la Légion d’Honeur in 2009.